The beauty of John Wick: Chapter 2 is it combines all of the ingredients that made the original spectacular, but adds in enough self-awareness about its ridiculousness that it feels both smarter and funnier than the first. Everything about John Wick: Chapter 2 feels grander. That may sound exhausting, but the long-phased, choreographed action sequences are broken up with just the right amount of exaggerated, awkward conversations that it never feels redundant or monotonous. Unlike the first movie, John Wick: Chapter 2 takes time to explore the ludicrous scenarios John Wick (Keanu Reeves) finds himself in with the other assassins, delivering a dry, witty line every once in a while to remind the audience even the characters don’t take it seriously. What John Wick: Chapter 2 does remain committed to from the first film, however, is its “Gun Fu.” The term, which was coined by director Chad Stahelski, refers to choreographed kung-fu that is intertwined with traditional gunplay. If John Wick helped introduce this style of on-screen fighting to mainstream, Western audiences, John Wick: Chapter 2 comes close to perfecting the art. The fight scenes, while just as intense, aren’t as consistently loud. There are times where the Gun Fu moments are nearly sublime in their execution, but they’re even more slowed down than in John Wick. It gives the audience a chance to see the work that goes into each choreographed routine, and because of it, there’s a genuine authentication. John Wick: Chapter 2 isn’t a perfect movie — like any Reeves film, there are issues with acting out simple dialogue scenes — but it’s the type of stupid, intense action followup that fans of the original will be very pleased with. John Wick: Chapter 2 picks up right where the last one leaves off. Wick is looking to finally settle the ongoing battle between him and the band of Russian mobsters he got into a war with in the first movie. It’s only after everything is settled that Wick will be able to finally retire — which fans will remember is what he was trying to do at the beginning of the first movie — and move on with his new life with his new dog. Yes, there is a new dog in this movie. Yes, the dog is adorable and loyal. And, let’s get this out of the way now: The dog does not die. Things don’t go the way Wick planned, however, and he’s pulled into an international witch hunt, tasked with killing one of the most important members of an illegal global crime syndicate. Things go from bad to worse for Wick, taking him from New York City to Rome and back again, trying to escape from a series of assassins who want him dead. The global scale of John Wick: Chapter 2 is imperative to the movie’s success. Despite the first film just taking place in-between New York and New Jersey, the scope of it felt massive. Between the action sequences and Wick’s self-imposed trek across the city to take out as many members of the Russian crime family as he could, it almost doesn’t seem like the movie takes place in one city over the course of a couple of days. The second movie recognizes that and purposely expands on where Wick goes. It’s meant to be bigger than the first and it more than succeeds. John Wick is the type of franchise that needs to grow bigger with each installment, in the same way The Fast and Furious does. It doesn’t make sense to have Wick drive around New York City again taking on one crime family because we’ve already seen that. We know how that plays out. By flying Wick around the world and introducing new characters and new challenges every step of the way, the franchise finds a sense of purpose within its insanity. It’s that new sense of purpose that leads to one of the most interesting decisions made in regards to Reeves’ character. Wick is less of a boogeyman in this movie, taking on the role of a hero in need of redemption. That slight change in character adds to the myth of John Wick the assassin, and creates a level of empathy that the first movie seemed to forget halfway through. While John Wick started with memories of the death of his wife and the murder of his puppy, it didn’t take long for Wick to change from sad boy with a gun to a genuine sociopath. In John Wick: Chapter 2, Wick takes on the role of tortured soul and carries it through the entire film. The scary, murderous figure introduced in the first one appears from time to time, but Wick also feels softer and more humane. It’s like discovering a missing ingredient you didn’t realize was missing in the first place. In many ways, it’s the list of missing ingredients that finally appear in the sequel that make for a better movie. There are a number of self-realized jokes interwoven throughout the film that are crucial to its success. The first scene is a near perfect juxtaposition of incredible Gun Fu choreography, vicious deaths and dry humor. Each joke acts as a cathartic release you didn’t know you needed until it happened, letting your body relax a little more before getting into the next longwinded fight scene. The jokes are littered just enough that you never tense up, becoming a ball of anxiety as Wick quite literally shoots his way through museums, streets and government buildings. But they’re also not over abundant, turning the action-thriller into a movie with an identity crisis. John Wick: Chapter 2 never loses itself; it doesn’t try to pander to fans or take on more than it can handle. It’s a self-contained story in a self-contained world. Much like the rules Wick and his fellow assassins must abide by when staying at the Continental or partaking in illicit club activities, John Wick: Chapter 2 respects the boundaries it has set up for itself. The sequel could have been much bigger, considering it uses international storylines and characters, but it toes the line between exaggeration and disbelief like a professionally trained dancer, always playing close to the edge but never going over. Everything from the choreography to the cinematography is a conscious, well-executed decision. It’s the kind of control and dedication to the craft — as seen through the scenes focused on Gun Fu — that make John Wick: Chapter 2 such a worthy successor to the first. That doesn’t mean it’s not without problems, however. Whenever Reeves is forced to act outside of flipping men over, breaking their necks or delivering head shot after head shot, it’s an obvious reminder that he isn’t a good actor. 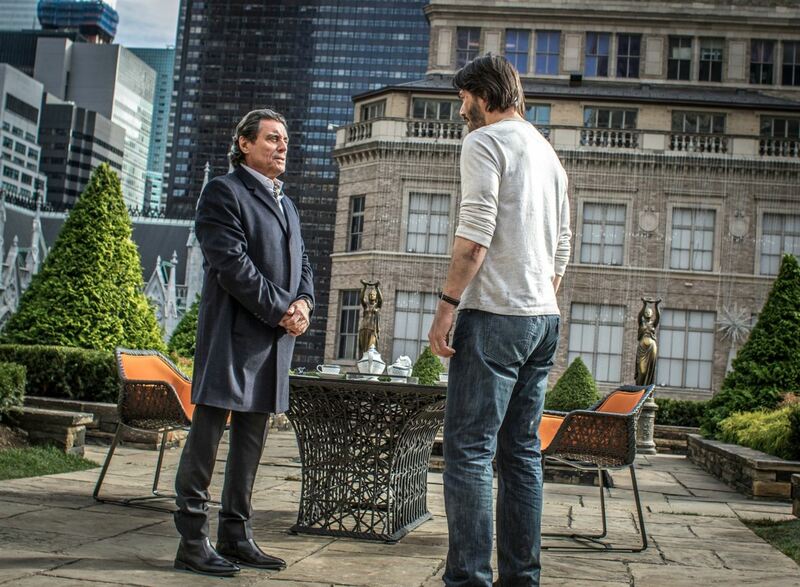 Every conversation Reeves has on screen is almost painful, and it’s especially apparent whenever he’s in a scene with Ian McShane who plays the hotel manager, Winston. McShane plays his character with a level of elegance and confidence that you never once doubt his acting. Reeves, however, struggles with the most basic of lines. He’s awkward when Wick shouldn’t be, confused when there’s no reason for it. Luckily, Reeves does spend most of his time moving in silence and killing. 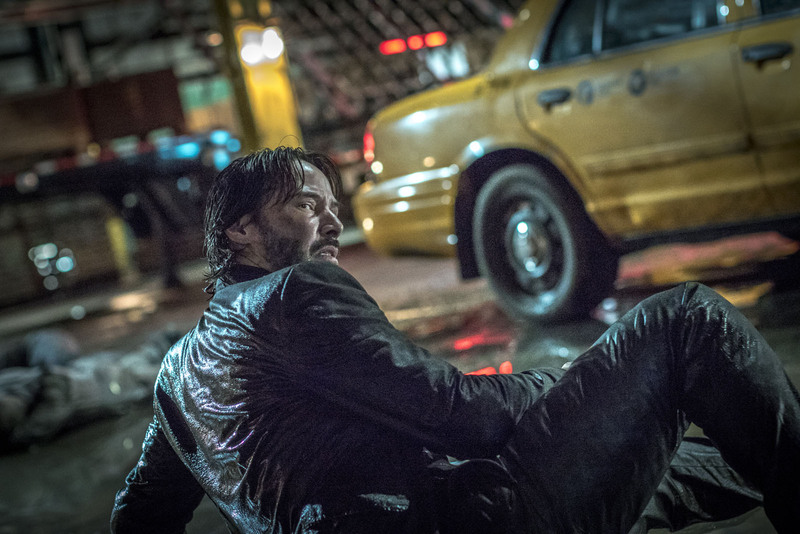 There are far more deaths in this movie than in the last — although I don’t have an exact number, there were 86 kills in John Wick and more than that occur within the first half of John Wick: Chapter 2 — and Reeves’ dedication to Gun Fu is where he shines. It’s almost enough to forget that he can’t deliver dialogue as well as he should by now, being a veteran in the industry, but there are moments of horrid acting that are just impossible to ignore. John Wick: Chapter 2 ends with a promise of a third installment. The way it’s set up, it will be far more global and therefore larger in nature than the first two. Again, like the Fast and the Furious franchise, it will be interesting to see the direction Stahelski and Reeves decide to take the series in, but one thing remains certain. As long as they remain committed to developing new characters for Wick to take on and improving the Gun Fu choreography the movies thrive on, John Wick will remain a strong, entertaining and worthwhile franchise. I went into John Wick: Chapter 2 expecting a decent sequel that payed homage to the first. I walked out pleasantly surprised at how fresh, unique and improved Stahelski managed to make it seem in comparison to the first, and excited for the future of the franchise that’s already emerging.